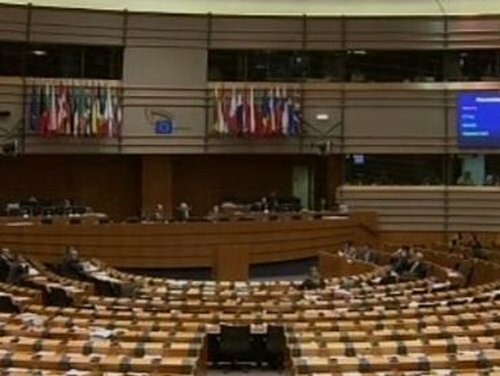 Nominations for the European Parliament elections closed at midday today. The deadline for candidates in the local elections to put themselves on the ballot paper is not until midday on Saturday. More than 500m people are entitled to vote in the European Parliament elections, scheduled to take place on 5 June. Ireland's representation following these elections is being reduced by one seat, from 13 to 12. This cut will affect the Dublin constituency, which is being reduced from a four to a three-seater. Overall, all but two outgoing MEPs are seeking to retain their seats. Since the last election to the European Parliament there have also been boundary revisions affecting the North West constituency. This morning, former Minister of State, Pat 'the Cope' Gallagher confirmed that he will run for Fianna Fáil in the North West. Fianna Fáil's Seán Ó Neachtáin had announced last month that he would not be seeking to retain his seat, citing medical advice. Speaking on RTÉ's News at One, former Senator Paschal Mooney said he was angered by the nomination of Mr Gallagher, because both candidates are based in the north of the constituency. Mr Mooney said when he had been selected at a convention to stand in the north of the constituency it was to balance the ticket, with Mr Ó Neachtáin in the south. Mr Gallagher said he had not been pressurised into running for Fianna Fáil. He said he was doing it for the good of the constituency. He agreed that two weeks ago he had told TG4 that if both he and Mr Mooney were to run for Fianna Fáil then there would be no balance. He now says on mature reflection he now feels that the geographical issue is a psychological one. Taoiseach Brian Cowen has said he is focused on winning the two bye-elections in Dublin and the local and European elections. He said people now realise more and more that Fianna Fáil is the party willing to make tough decisions in the face of a difficult economic climate. He was speaking as he canvassed in the Dublin South constituency with Fianna Fáil candidate Shay Brennan.